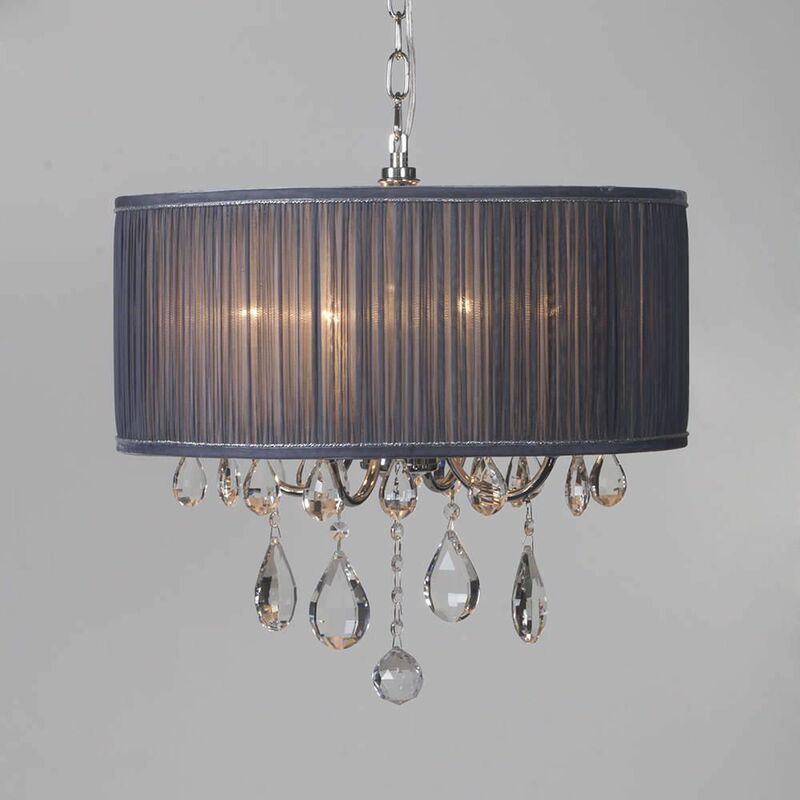 This eye catching ceiling light from Litecraft will give your room the wow factor. 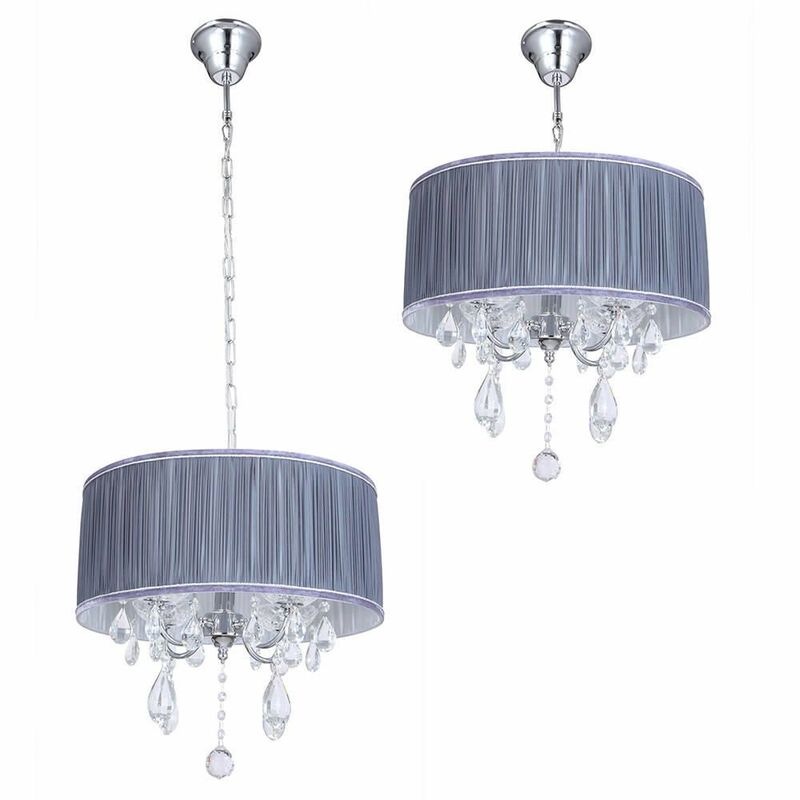 The stunning L'amour light fitting features a polished chrome chandelier decorated with hanging crystal effect pendants that sparkle and shine. 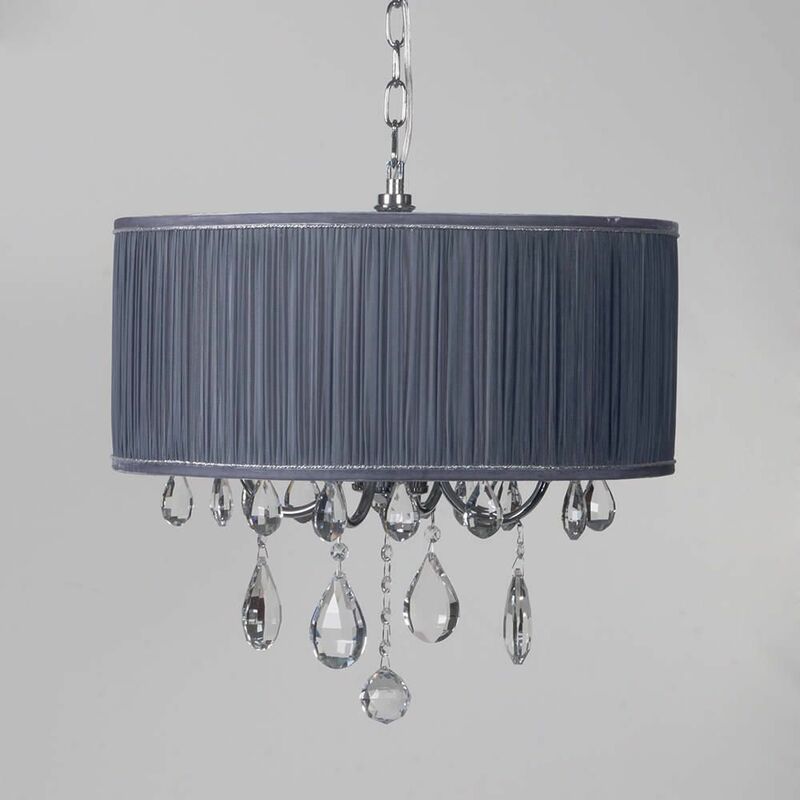 An elegant silver coloured pleated shade surrounds the chandelier to complete the look. 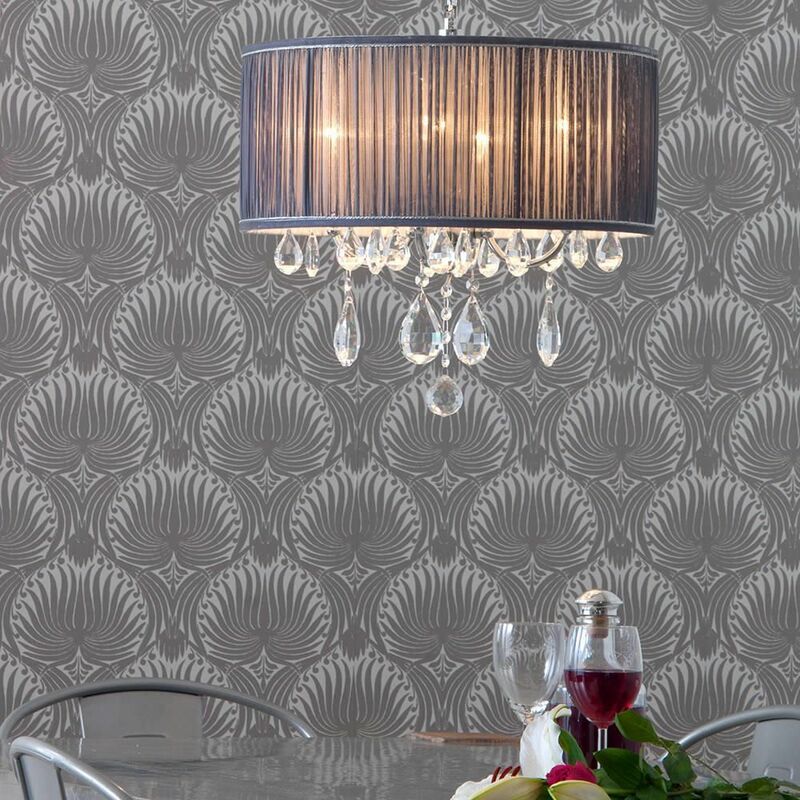 The L'amour pendant ceiling light would make a perfect centrepiece to a living room, dining room or bedroom. 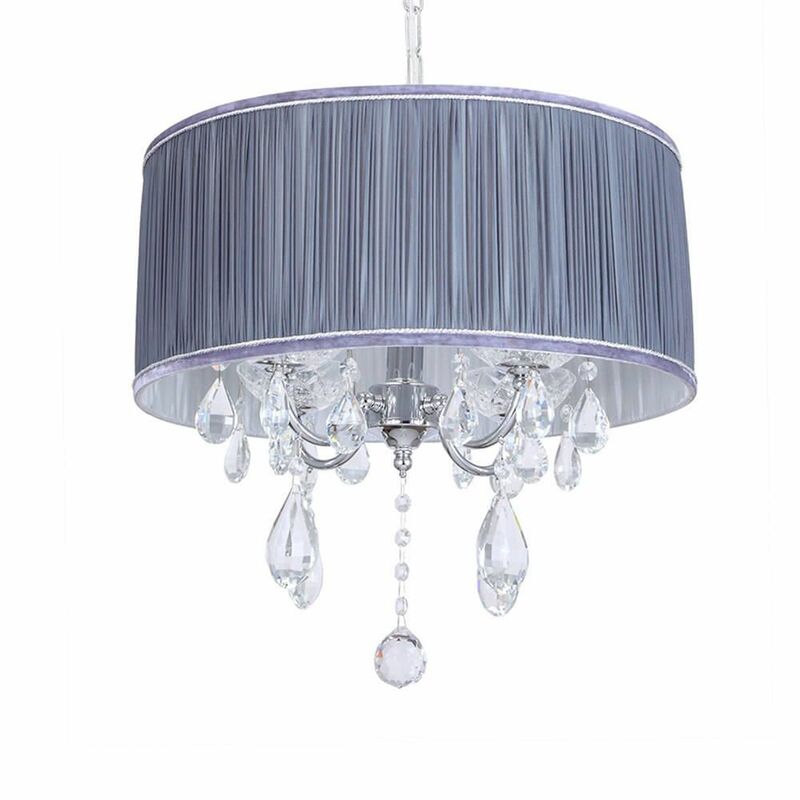 It is also available as an 8 light double chandelier.